This week, we welcome over 100 participants for the 7th edition of the European Summer School Electrochemical Engineering (ESSEE2015). The maximum number of participants was reached shortly after opening the registration. The participants learn about Electrochemical Engineering, knowledge required for the development of sustainable water treatment and energy production technologies. Therefore, 22 lecturers came to Leeuwarden. Yesterday all participants presented a poster with the results of their own research. 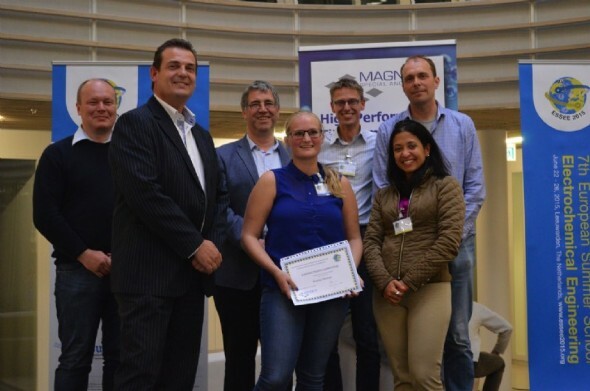 Both the audience and a professional jury judged the posters and decided that Kristina Wedege from Aarhus University (Denmark) presented the best poster. Kristina presented a very clear poster that illustrated how energy can be stored on the roof of your own house employing an electrochemical technology. Therefore, we honour this work with the Magneto Poster Award, together with 500 euro. 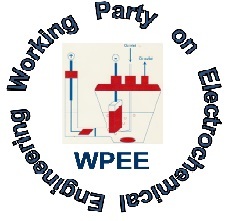 Wetsus thanks the sponsors that contributed to ESSEE2015: Gemeente Leeuwarden, Provincie Fryslân, IVIUM Technologies, COMSOL, Magneto Special Anodes B.V., Princeton Applied Research, Metrohm-Autolab, International Society for Electrochemistry and the European Federation of Chemical Engineering.